Permission to use image granted by Luz María Albarrán y Favela. The Sculptor Luis Albarrán y Pliego (1893-1967) was born in Toluca, Mexico. Luis was such a talented artist, he not only sculpted in plastiline, but also casted his own pieces in metal, using the 'lost wax' method, and then applied custom-made patinas. Later in his career Luis would produce very detailed small watercolors representing scenes of the "Fiesta Charra" (performances of Mexican horsepersons of special custome and cultural status. ), as well as bulls and roosters to adorn the covers of magazines specialized in these subjects. In 1929 Albarrán went to Sevilla, Spain to attend the International Fair, where he presented the works "La Ultima Querencia", and "Barbas de Oro", with themes sorrounding the Spanish art of bullfighting, and was awarded a first place gold medal. During his stay in Europe, the artist worked in the same studio where the works for the Spanish sculptor Mariano Benlliure were casted, where he mastered the classic bronze casting methods. In 1939 he started attending the Fine Arts Academy of San Carlos in Mexico City. 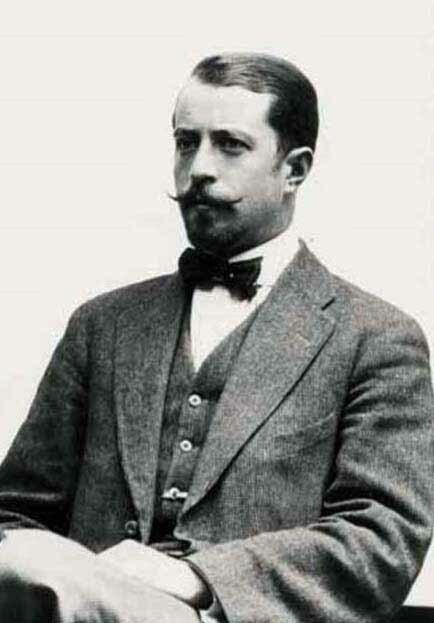 The artist's works were influenced by Mariano Benlliure. Luis' sculptures are very realistic and detailed, most of his works are in bronze, however, he also produced sculptures in silver and gold. In Mexico, the artist was a member of the School of Sculpture and Direct Carving, where since 1927 collaborated with sculptor Guillermo Ruíz, as director of casting. Luis was also a member of The Sculptor's Circle. 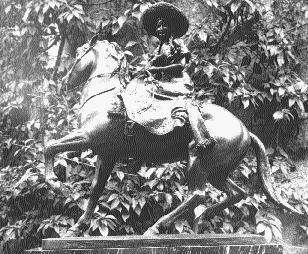 Albarrán was awarded in 1926 first prize in the contest to create the Monument to the Mexican Charro to be located in Mexico City, however the project was not completed due to internal problems among the members of the organizing committee. In 1929 the artist won the first prize and the gold medal in the International Exhibit of Sevilla, Spain. During the 1930's some of his bronze sculptures were awarded to prize winning bullfighters. Luis' sculptures were displayed in many exhibits such as the Yearly Exhibit for the Sculptors Circle, a Retrospective Exhibit at the Excelsior Gallery, Collective Exibit for Luis Albarrán, Fermín Revueltas, and Roberto de la Selva at the Mexican Art Hall (Sala de Arte Mexicano), and the Exhibition of Goldsmith Works in Mexico. His works are included in public collections, for example, the monumental fountain "El Chapulín", at the National Museum of History (Chapultepec Castle)and eight monumental busts of distinguished Mexicans at the Library of the Congress. Other works can be found at the Metropolitan Cathedral and the "Basilica de Guadalupe" in Mexico City. He created the "Monument to the Flag", "Monument to the Generals Millán and Villada", for the city of Toluca in Mexico State, the monumental statue to the Mexican Ex- President Francisco I. Madero for the city of Puebla, just to mention a few.